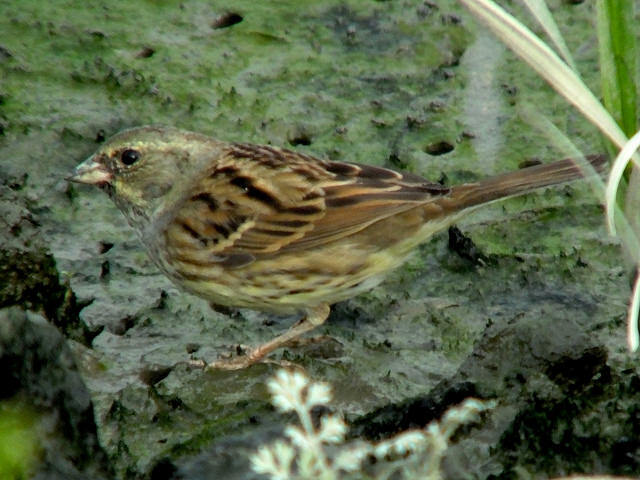 The Black-faced Bunting breeds in Siberia and is a vagrant in Western Europe. 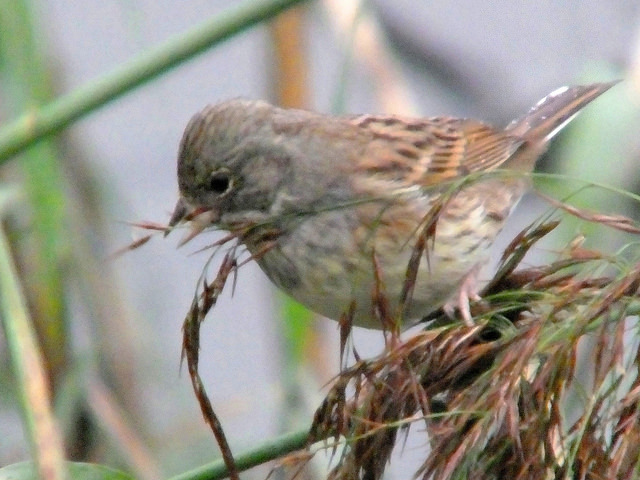 The male has a gray head and breast, the female is brown. The male has black at the beginning of the beak, hence the name.